This product comes from a group of marketing weasels trying to confuse the consumer with Verified Nutrition, the makers of the number one rated product ProstaGenix. It is sold over the Internet and by telemarketers who call you from lists that they purchased. 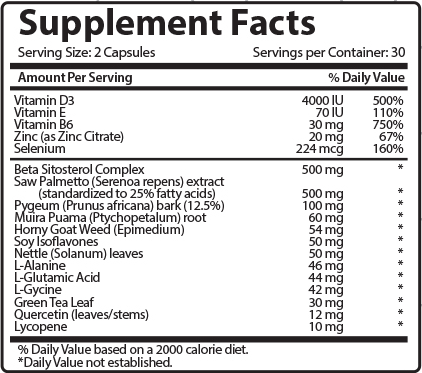 The lab score says it all – only 30 mg of sterols and only 11 mg of Beta-sitosterol. Not the worst scores we have seen, but extremely low.